Normal series since 1993/94. 10 = Republic of Karelia. Normal series since 1993/94. 77 = Moskva city. Interesting and repetitive letter combinations ususally available for a payment. Normal series since 1993/94. Since 2005 three digit district code in some districts. 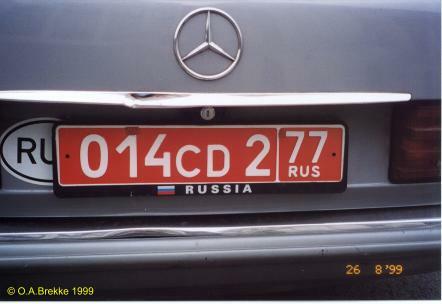 177 = Moskva city (since 2005). Normal series since 1993/94. Since 2005 three digit district code in some districts. 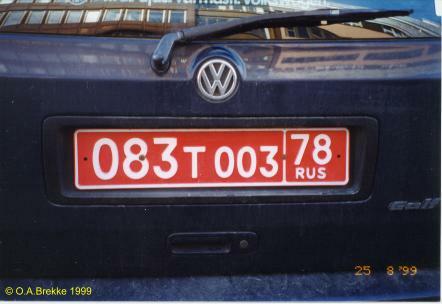 177 = Moskva city (since 2005). Interesting and repetitive letter combinations ususally available for a payment. Trailer series since 1993/94. 39 = Kaliningrad oblast. 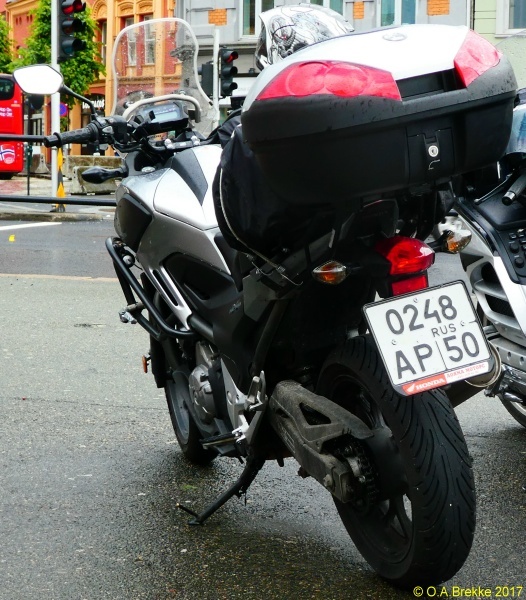 Motorcycle series since 1993/94. 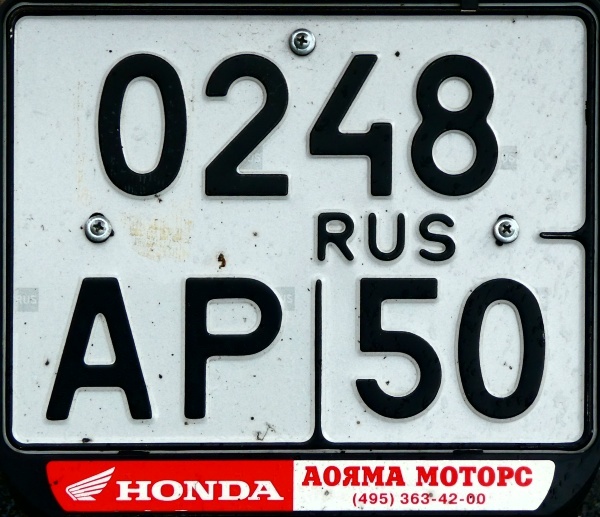 50 = Moskva oblast. Diplomatic series since 1993/94. 014 = Norway. 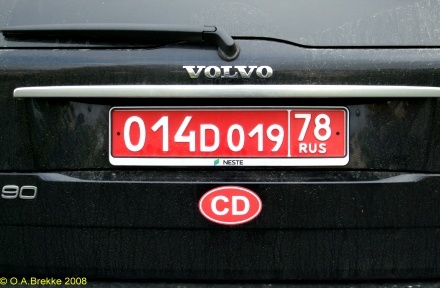 CD = Ambassador. 77 = Moskva city. 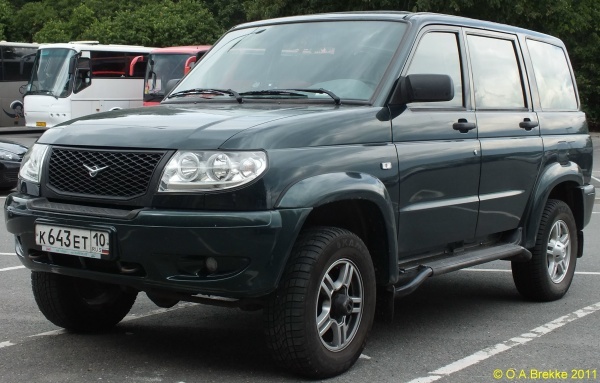 Diplomatic series since 1993/94. 014 = Norway. D = Diplomatic personnel. 51 = Murmansk oblast. This appears to be the same car as 014 D 019|78 photographed three years earlier. Diplomatic series since 1993/94. 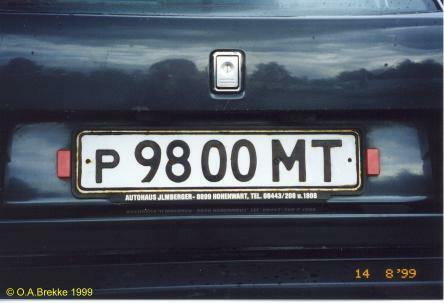 083 = Hungary. T = Technical assistance personnel. 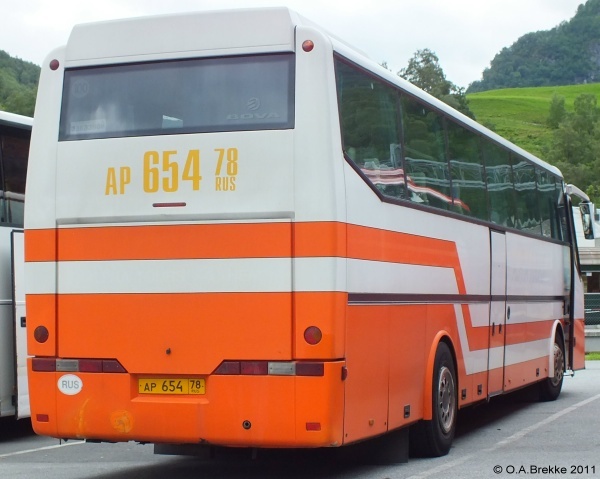 78 = Sankt-Peterburg city. 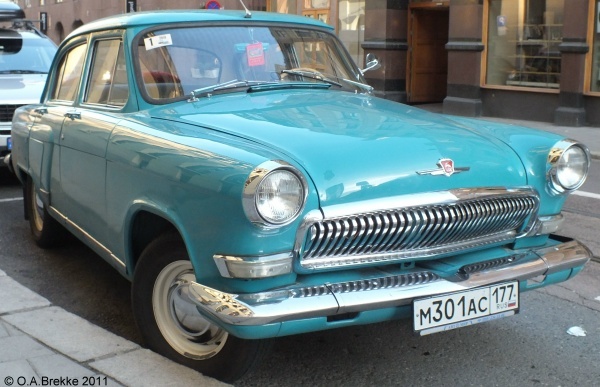 USSR normal series 1959-81/82. ЧБ = Челябинская область = Chelyabinsk oblast. 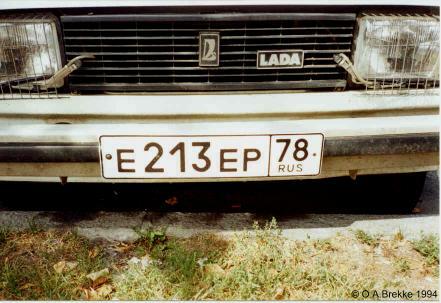 The car displayed a BY oval (just visible at upper left) and had a Belarusian caravan 1980 KM. 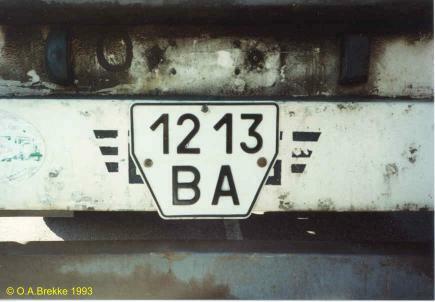 It is possible that an oblast in Belarus ran out of plates and was given some with the Chelyabinsk code. 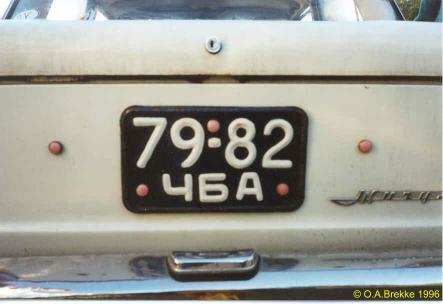 USSR normal series 1980-93. MT = Moskva oblast. 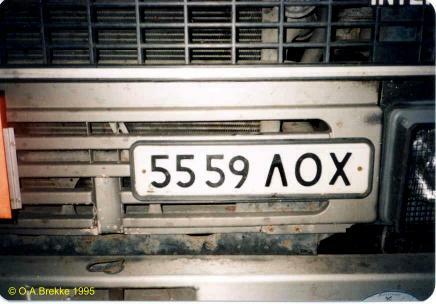 USSR state owned vehicle series 1980-93. ΛO = Ленинградская область = Leningrad oblast. See also duplicates page 2. USSR state owned vehicle series 1980-93. 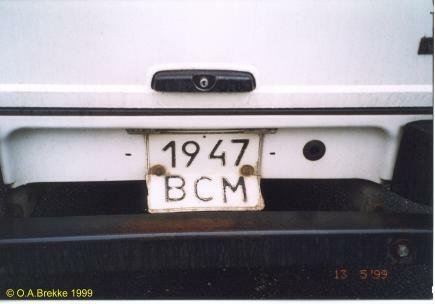 BCM = Leningrad oblast. USSR trailer series 1980-93. BA = Leningrad oblast. Normal series since 1993/94. 78 = Sankt-Peterburg city. Some early plates had no flag. 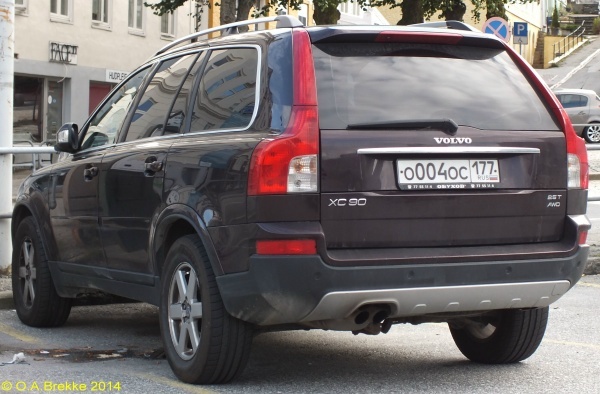 Public service vehicle series 2002-2009/2014 (until stocks were exhausted). 78 = Sankt-Peterburg city. 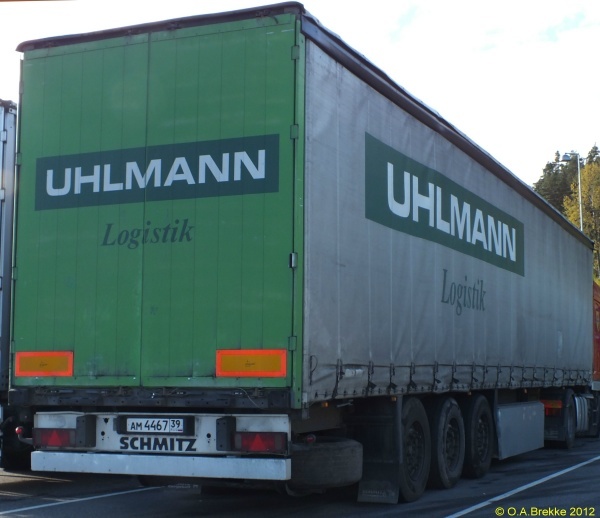 Commercial vehicles usually have the registration repeated in large characters on the back of the vehicle. 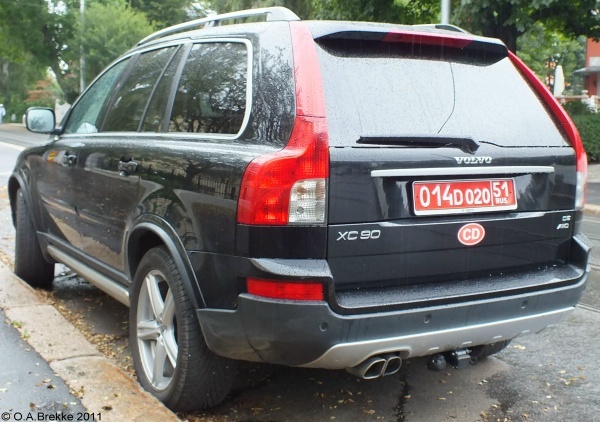 Галерея автомотостарины. Номерные знаки. СССР (только до 1982).